Located in the heart of the Southwest, Kanab, Utah is one of the best places to explore the area from. With 3 national parks in close proximity to here, sand dunes, and other incredible natural wonders that make up some of the most iconic and beautiful spots in the west. 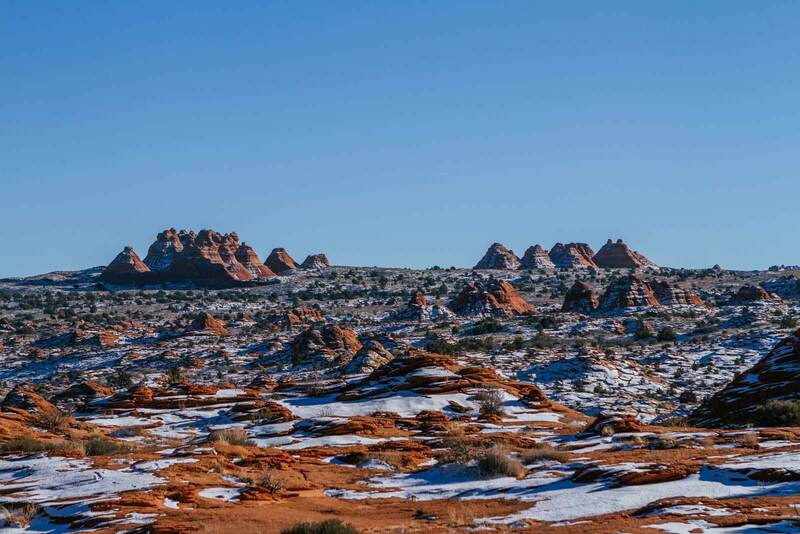 There are plenty of incredible things to do in Kanab, Utah whether you’re passing through for a day or spending weeks here. 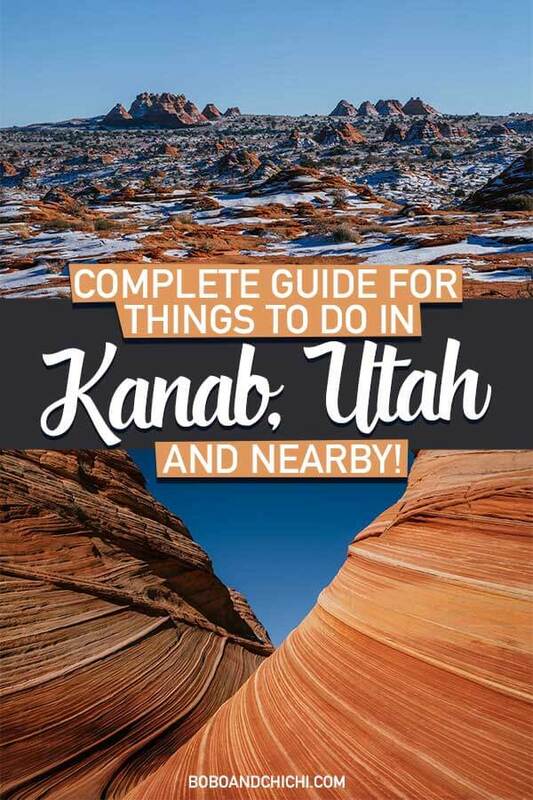 Check out our guide to all the best things to do in Kanab, Utah to help you plan your next Southwest roadtrip! Be sure to also check out the best things to do in Page, Arizona and nearby. One of the best things to do in Kanab, Utah is take the short drive to Zion National Park, one of the three national parks in the area. Known for its remarkable vistas and steep red cliffs you can easily spend a few days here doing some of the famous hike with rewarding views or if you’re short on time do the Zion Canyon Scenic Drive. The Zion Canyon Scenic Drive takes you along the most famous stops and trailheads in Zion National Park. On your route through the Zion Canyon Scenic Drive you will run into Checkerboard Mesa. 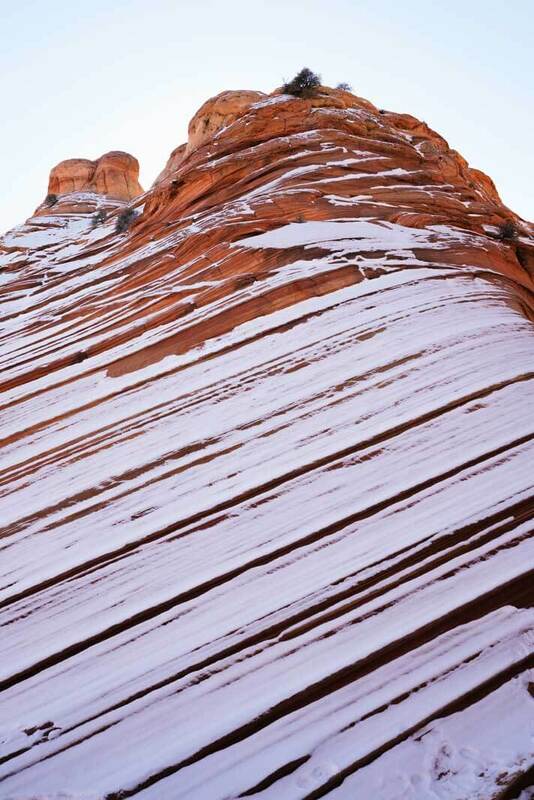 This famous rock formation looks like a checkerboard because of its array of colors and vertical and horizontal lines caused by natural erosion. Stops include the Narrows, one of the most famous hikes in Zion National Park through the Virgin River where you are actually hiking through water through the 15.5 miles trek through the canyon. However beautiful this hike is you must hike with extreme caution and prepare for the hike with proper gear. This area is very prone to flash flooding and people have died on this trail. Also, weather and time of year is a factor. You can read a guide on how to trek and prepare for the Narrows here and this guide for how to prepare for the Narrows in the winter. Alternatively, instead of doing the complete trek through the Narrows, you can hike in the first two hours and turn around or just do the Riverside walk that goes along the river and is even accessible for the disabled. 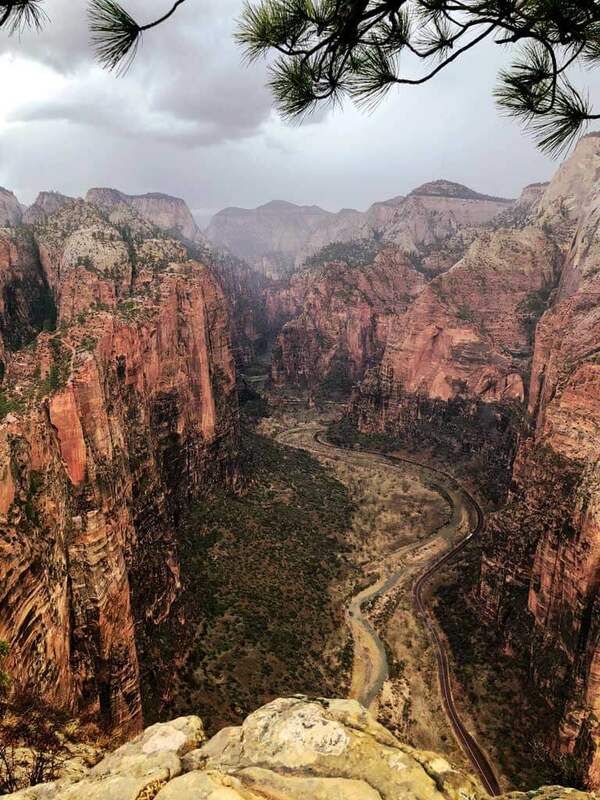 Another one of the most famous viewpoints in Zion National Park that makes this one of the best things to do in Kanab is the Angels Landing view. This is another difficult hike that ascends over 1600 feet at a length of 5.6 miles. Plan for 4 or more hours for the round trip hike and make sure to bring tons of water if you plan to do this in the summer heat. This hike is not for the faint of heart as there is a very steep narrow ridge passing towards the end of the hike with hundreds of feet drop. However, the view is not only rewarding but incredible. Another popular hike that is less difficult in Zion is the Emerald Pools hike. The most popular and short trail is the Lower Emerald Pools, if you wish to continue you can go on to the Upper Emerald Pools or continue along to the trailhead to Angels Landing. Even though this is a very family friendly trail you also need to use extreme caution here as people have easily slipped on rocks with a fatal ending. Also, do not attempt to swim in the pools here. If you’re looking for more information on visiting Zion consider checking out this great guide. 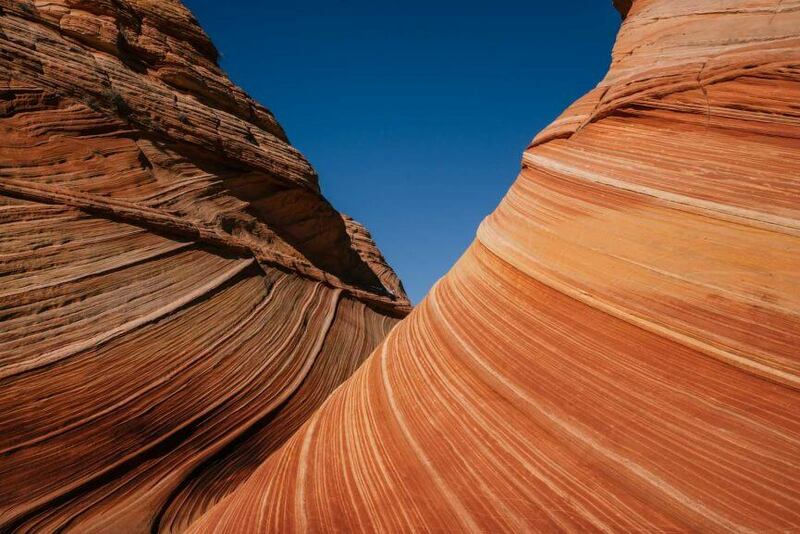 Another incredible thing to do in Kanab is head to the Paria Canyon-Vermilion Cliffs Wilderness which is home to the famous Wave hike, North and South Coyote Buttes and the Vermilion Cliffs. This area is managed by the Bureau of Land Management and many of the hikes require permits, some require you to apply in advance and some require you to head to the BLM office in person. Make sure you read up and research each individual hike for permit information, weather conditions, and tips for each area you plan on exploring. Much like many of the hikes in the area there are extreme flash flood warnings that require you to check the weather for the entire region, not just where you plan on visiting. 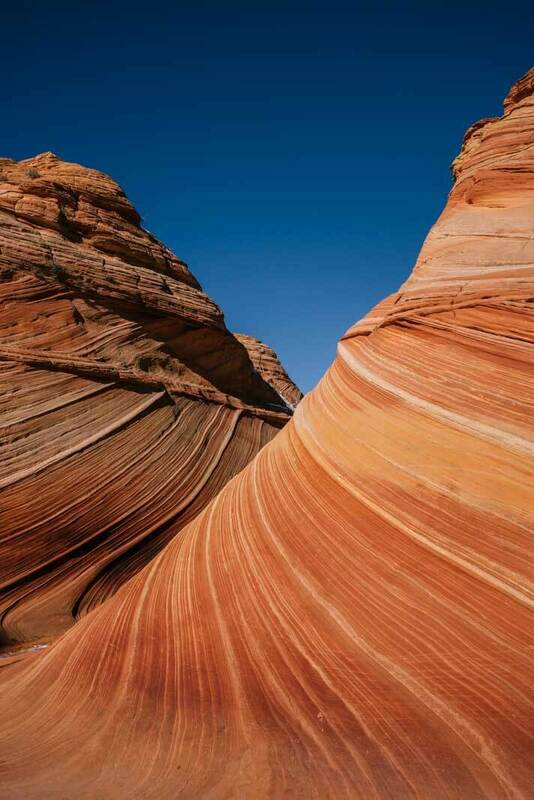 This is one of the most popular things to do in Kanab as North Coyote Buttes is where the infamous Wave hike is. In order to hike ‘The Wave’ you will need to secure a permit either by applying online 4 months in advance or in person at the BLM office the morning of your visit. Because of the delicate area and popularity BLM only allows 20 permits per day (10 online and 10 for walk ins on the day of). Apply for your permits 4 months in advance here. Once you secure your permit you will receive a map and instructions for this hike which can be difficult to navigate without a GPS. The Alltrails map also has a great map to follow. Note: The Wave is easier to get access to in the winter months or off-season when there’s less competition for permits. In the summer months this permit can be extremely difficult as they only hand out 10 permits for walk ins and sometimes there are over 200 people competing for those 10 permits. However, by going in the winter you are risking that the Wave could have some snow cover. If you’re ambitious you can also hike up to the arch, hamburger, and second wave. What if you don’t get the permit for the Wave? No worries. Wirepass Trail is a great easy option to hike in North Coyote Buttes. 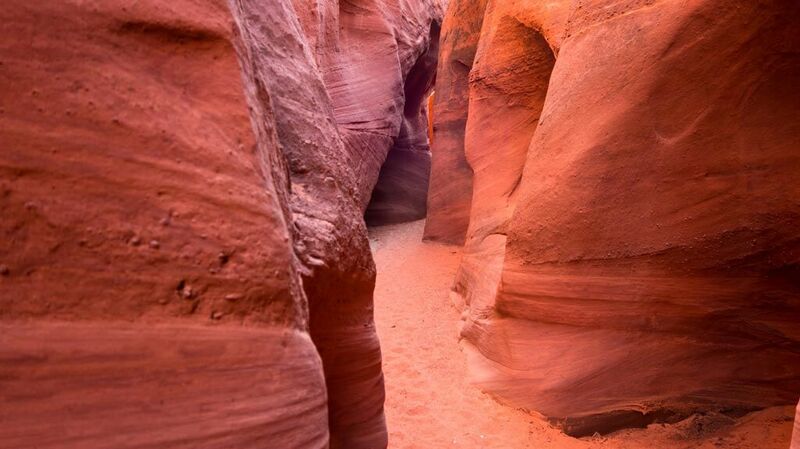 The trail also leads to Buckskin Gulch, the longest and deepest slot canyon in the USA. Wirepass Trail can be done in under 2 hours but you can continue through to do part of Buckskin Gulch and turn back or use it as the trailhead to complete the entirety of Buckskin Gulch. Where Wirepass meets with Buckskin Gulch you can also see ancient petroglyphs on the walls. 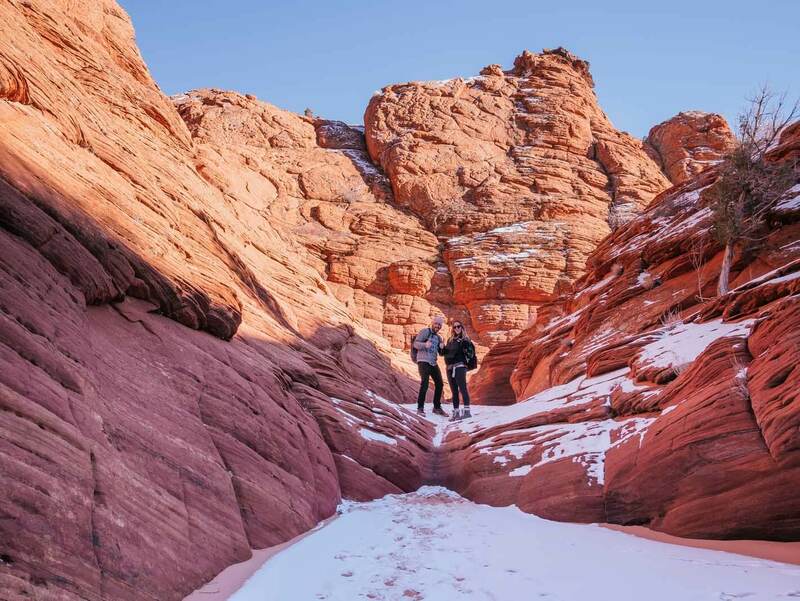 If you plan on doing the entire Buckskin Gulch check out this guide and make sure you secure your permits in advance for overnight treks in Paria Canyon. Do not attempt either hike if there is even the slightest chance of rain as this area is famous for very dangerous flash floods and if you’re in Buckskin Gulch while this happens you will have very little chance to escape. The road to North Coyote Buttes can be impassable in wet weather. You will need a 4WD or AWD vehicle to access the trailheads most of the time, check with BLM to find out current road conditions and weather or current hazards in the area. 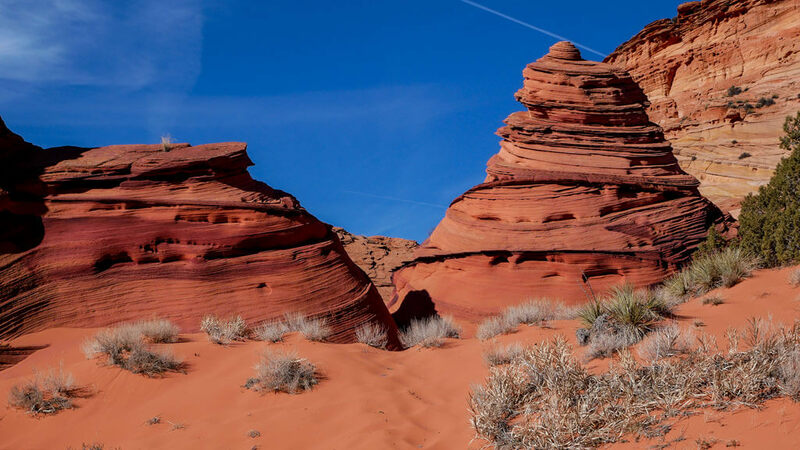 While everyone else flocks to Coyote Buttes North, Coyote Buttes South is where to go if you’re looking for some beautiful less visited trails past the teepee rock piles and formations. There are two access points to Coyote Buttes South, Cottonwood Cove and Paw Hole which have two different entry points. Cottonwood Cove has the famous Cottonwood Teepee rock formations as well as free standing rock statues formed over time from erosion. Paw Hole trailhead is a 3.5 mile loop with stunning views including teepees and incredible rock formations that make you feel like you’re on another world. To access Coyotte Buttes South you want to make sure you check road conditions with BLM and either have an AWD or 4WD car. Be sure to check in with the BLM office in Kanab for permits as well. 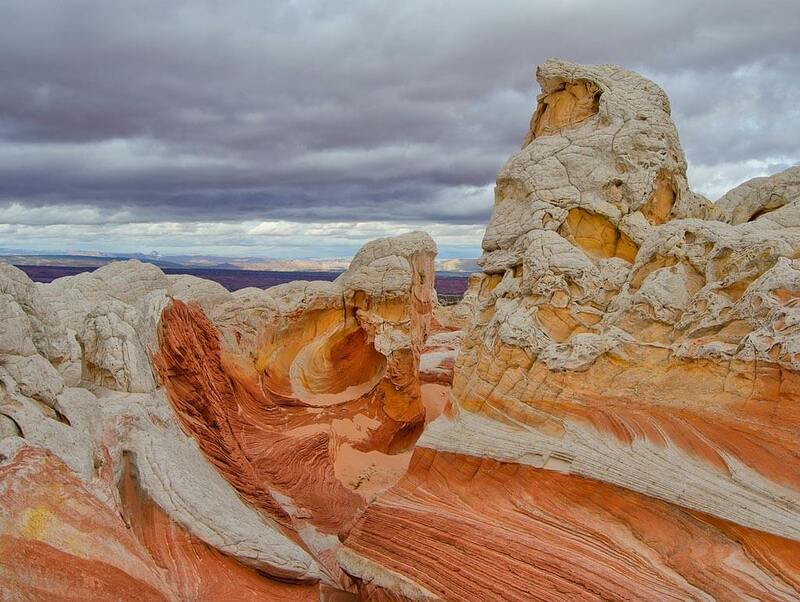 Another increasingly popular hike that was unheard of by most is White Pocket. This trail takes you to impressive rock formations, much like the others, but instead of mostly red rocks with hues of orange, White Pocket has well, white in the mix in swirling patterns making it a stunning place for photography and another great alternative if you do not obtain the highly competitive Wave hike. To access the trailhead you will be on the same dirt road as Coyote Buttes north and south. Do not attempt this section of the road without a 4WD or AWD vehicle as you will be driving through more sandy roads with sharp rocks, you do not want to be stuck out here as there is no cell service. Do take this seriously. If you’re already driving on House Rock Valley road from Coyote Buttes South or North continue going towards Page to the 89 and at the end you’ll be rewarded with the first glimpses of the Vermilion Cliffs and the condor nesting and viewing area. We were hitting this spot right at sunset so we continued on to see the view of the cliffs from the stretch on the 89 en route to Page. Otherwise, you can enjoy the Vermilion Cliffs driving on US 89A between Lees Ferry and Jacob Lake on the Kaibab Plateau where you can drive the stretch of 40 miles with the impressive cliffs as your side view. 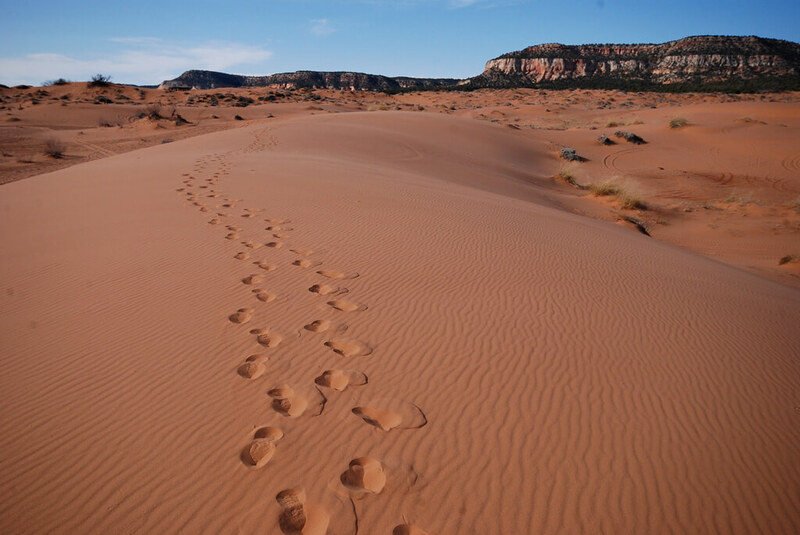 Another fantastic thing to do in Kanab, Utah is visit the Coral Pink Sand Dunes State Park just a short drive away. The sand dunes here are famous for the orange, pink, and red hues formed by the erosion from the nearby cliffs. Besides having unique colored sand dunes this is the only place in the world where you can spot the Coral Pink Tiger Beetle. The best time to visit for the best colors is at sunset and sunrise. 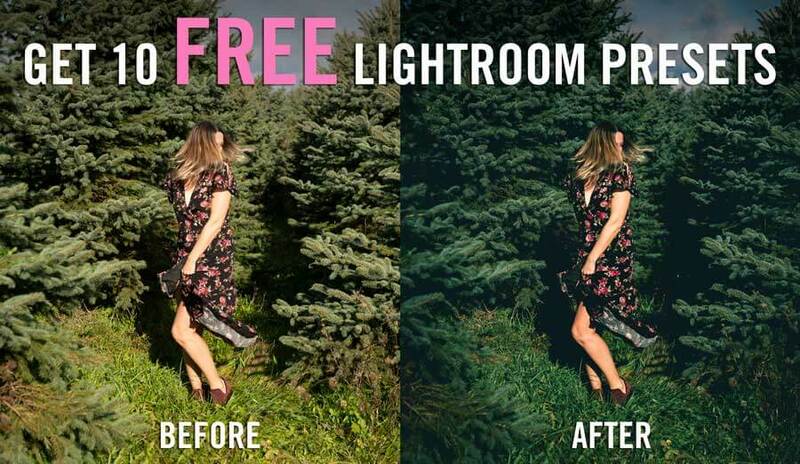 So plan accordingly if you’re looking to photograph. Otherwise, you can walking through the dunes or ATV riding all day long. 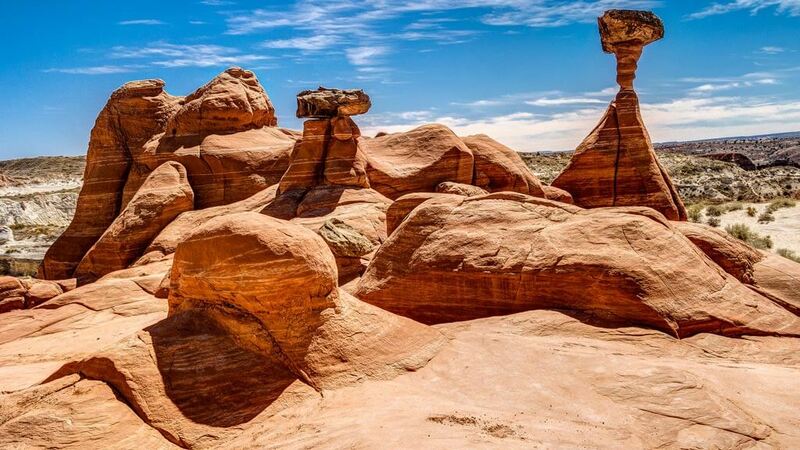 Another gem and best thing to do in Kanab, Utah is drive to the nearby Grand Staircase-Escalante National Monument full of colorful cliffs, slot canyons, and other gorgeous natural formations that have been home to old Western movies and are an iconic backdrop for the west. As of 2017, Grand Staircase-Escalante National Monument has been reduced almost by half and broken up into three sections Grand Staircase, Kaiparowits and Escalante Canyons by President Donald Trump. This is also a location that is a hot bed for dinosaur fossils and remains. Since we are focusing on the best things to do in Kanab and The Grand Staircase-Escalante National Monument is huge we are going to focus on the hikes and trailheads that are closest to Kanab. Located in the Dry Fork area of the Staircase-Escalante area the slot canyons of Peek-a-boo and Spooky can be done together in one afternoon. If you’re looking for the beauty of Antelope Canyon without crowds this is a great option! Once you get to the trailhead you will want to follow the cairns to Peek-a-boo and then continue onto Spooky Gulch. The entire loop can take up to 4 hours and is a 3.5 mile loop. Note that Spooky Gulch is very narrow and could be difficult for larger body types. Apparently, some have even gotten stuck in the rocks here, so use your judgment before continuing on if you think you won’t fit through some of the very narrow passageways. Peek-a-boo does require some rock scrambling to get through the slot canyon. 4WD or AWD to access the trailhead here. The toadstools are is a great trail and an easy thing to do in Kanab with families. 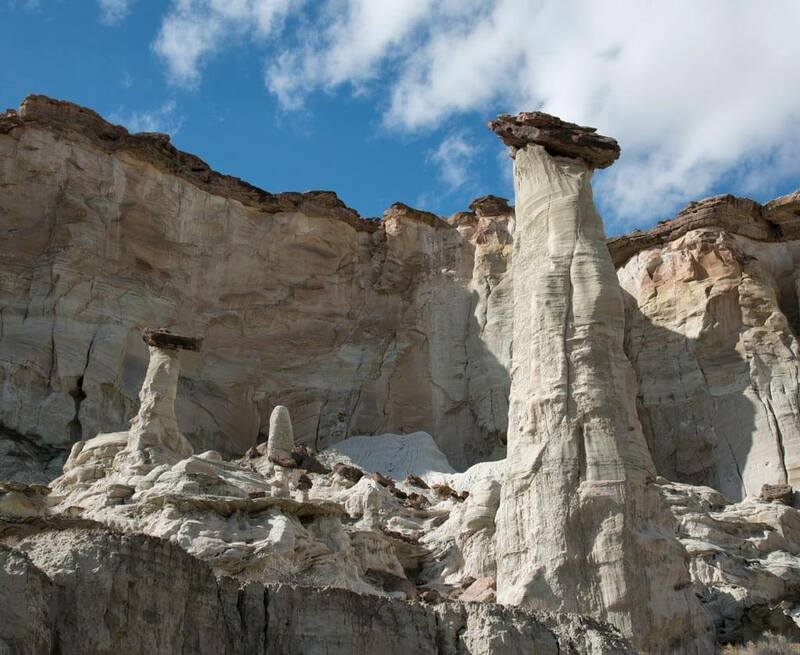 The hike itself is only a 1.5 mile round trip where you pass incredible hoodoos and rocks balancing on top of another that make the shape of mushrooms and make you feel like you’re on another planet. This trail is an easy one to do en route to somewhere else and doesn’t require a permit or fee. Another one of the best things to do in Kanab, Utah is heading to the Wahweap Hoodoos. Unlike other hoodoos these ones are more alien looking and colored white with brown caps. This hike is 9 miles round trip and can take 4-5 hours depending on your fitness ability and how many stops you make. This is not as popular of a hike so there’s a good chance you could have this trail all to yourself. It is important to be a good navigator on this hike like many other in the region and a GPS could be very handy. Be sure to stop at the Big Water Visitor Center before attempting this hike to find out what the current road conditions are. You definitely need a 4WD or AWD vehicle to access this trailhead. The next great thing to do in Kanab, Utah is drive to Bryce Canyon National Park. Although, this is one of Utah’s smallest national parks it is still quite impressive and worth a visit filled with hoodoos, incredible sandstone pillars, and unique rock formations. What’s great about Bryce Canyon National Park, because it is smaller it is possible to see the best of in a day. You can see most of the spots from the 20 mile Bryce Canyon Scenic Drive. Many of the noteworthy spots mentioned below are stops along the way. There are tons of viewpoints in Bryce Canyon, below we highlight a few. Be sure to read our guide to the best hikes in Bryce Canyon for more information. Sunrise Point is best seen at sunrise since the view faces the northeast giving views of both Boat Mesa and the Sinking Ship. This is also the trailhead point for Queen’s Garden Trail, one of the easiest in the park through hoodoos as well as the Navajo Loop Trail, a winding trail that slowly loops its way down to the hoodoos. Very close to Sunrise Point is Sunset Point, a short walk from the parking lot offering rewarding and some of the most famous vista points in Bryce Canyon. Here you can experience a very condensed area of hoodoos packed tightly in the canyon below. Thor’s Hammer is also visible here, a stand-alone hoodoo famous with visitors. Another driveable viewpoint with a vast view of the main amphitheater. There are three levels to view from with varied perspectives. You can see Silent City from here and Boat Mesa. If you’re looking to hike you can also walk along the rim to Bryce Point from here. This loop is just under 5 miles passing along tons of hoodoos starting and ending at Bryce Point, another scenic viewpoint. One of the least crowded and more difficult hikes in Bryce Canyon is the Fairyland Loop Trail. The loop takes you through various elevations and is a total of 8 miles. This massive area is one of the best things to do in Kanab, Utah. Covering 1.25 million acres there are a ton of incredible things to do in the Glen Canyon National Recreation Area including the infamous Lake Powell. One of the most majestic things to do in the area is visit Lake Powell, the second largest man-made lake in the US and a haven for boaters and water enthusiasts full of side canyons and water activities to enjoy. The Wahweap Marina is an easy access point to Lake Powell for day activities including paddle boarding or kayaking as well as boat rentals to explore the nearby areas of Powell. 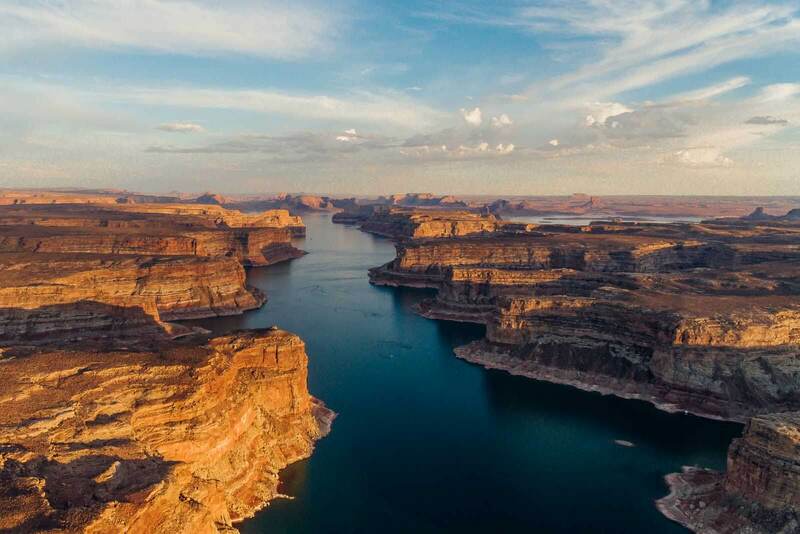 However, if you really want to explore this area in depth we recommend renting a Lake Powell Houseboat for a week and exploring the area on water, it’s an unforgettable experience and we just did this experience this past summer. 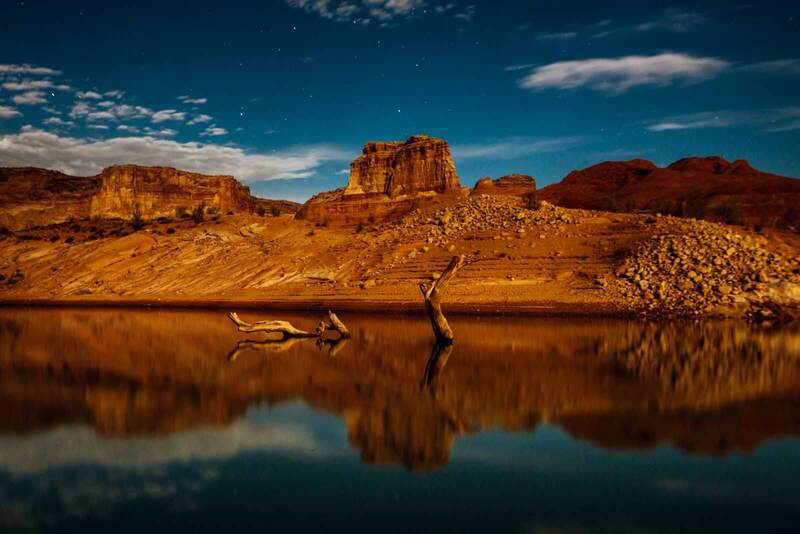 You can read our Lake Powell Houseboat Rental guide here. By being on the water you can also access incredible things to do like boating almost all the way up to Rainbow Bridge National Monument, the world’s highest natural arch. Save yourself the grueling hike and get to this national treasure by water. If you can’t get on a boat to short cut the long, strenuous trek to Rainbow Bridge you will have to be prepared to see the world’s tallest natural arch by foot which will take 2-3 days roundtrip and requires permits since it’s on Navajo land. Very few people attempt this trail due to its difficulty and access by boat via Lake Powell. It is also important you do not attempt this trail if there is any rain in the forecast due to flash flooding. Antelope Canyon is easiest one of the most popular things to do near Kanab, Utah as well as visitors to Page, Arizona. Antelope Canyon is protected by Navajo Parks and Recreation so it is impossible to visit on your own, instead you can join a tour and visit either Upper Antelope Canyon or Lower Antelope Canyon. We must warn you in peak season these slot canyons see a TON of visitors and there are plenty of other slot canyons in this region that are just as beautiful and worth visiting without the crowds. 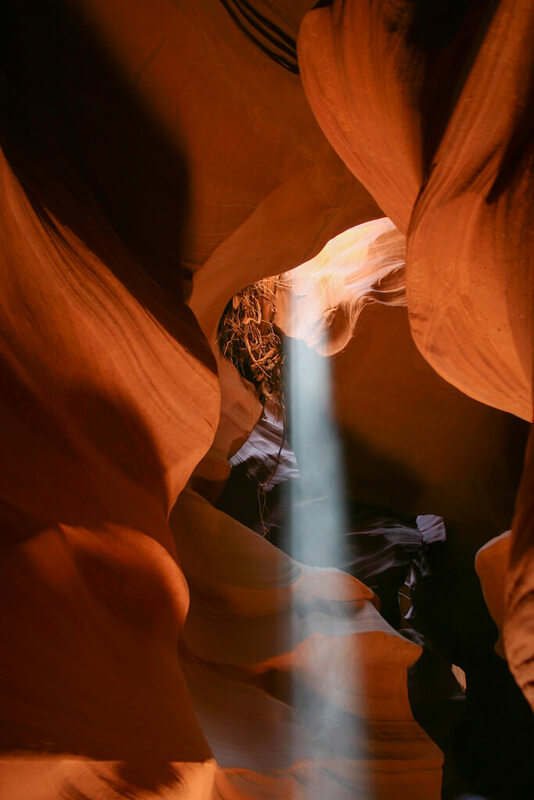 If you’re looking to get the famous beam of light shining through the slot canyons you need to plan to be on an 11:30 tour between the months of April to September. 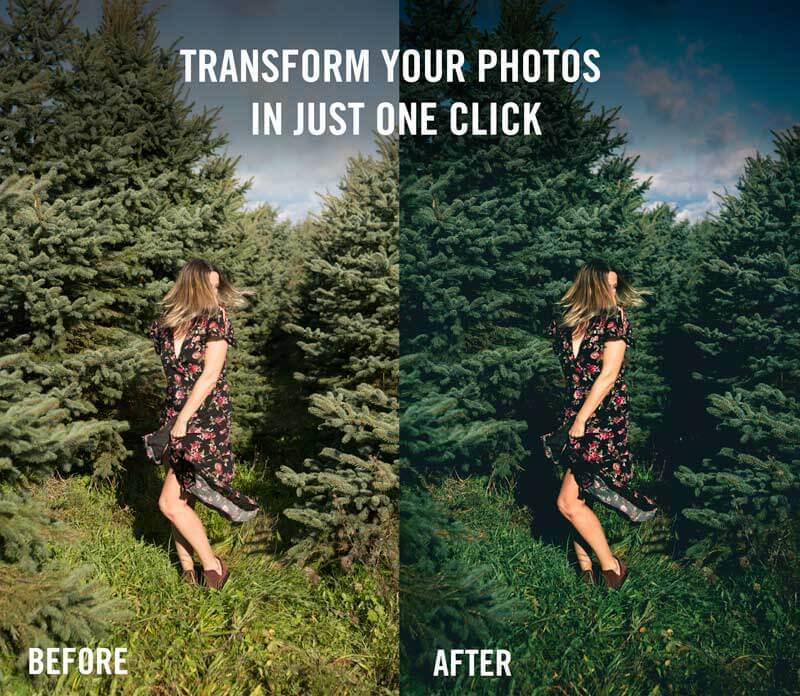 This will increase your chances significantly to see this. You can book tours in Page, there are tons of tour companies who operate here. Another great thing to do near Kanab, Utah is visit the north rim of the Grand Canyon National Park. This area of the Grand Canyon is just as beautiful but far less visited than the popular South Rim. To be exact, this section of the Grand Canyon only sees about 10% of the annual visitors to the Grand Canyon National Park. However, please note that the road to the North Rim and the North Rim Grand Canyon are closed in the winter months. The lodging and restaurants in this area are open from May 15 to October 15 every year. However, if you want to access in the winter you can get a backcountry permit for a campground for snowshoeing, cross country skiing, and hiking. 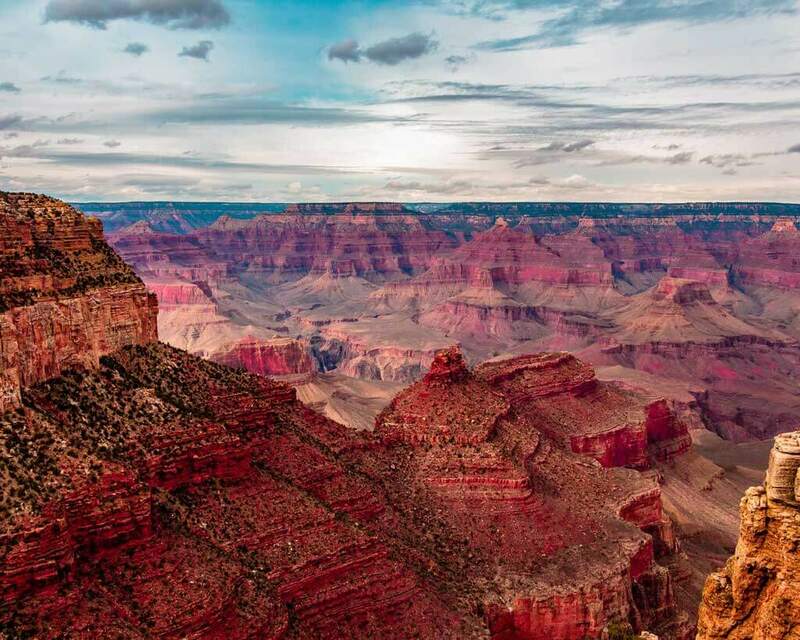 The best way to see a lot of the North Rim in a short period of time is by doing the Scenic Drive hitting popular viewpoints including Point Imperial and Cape Royal. This viewpoint is the most famous for the North Rim and is easily accessible by a paved road. Point Imperial viewpoint overlooks the park at the highest point overlook at 8,803 feet. From here you get a sweeping vista of the Vermilion Cliffs, Marble Canyon, the Painted Desert and Mt. Hayden. This viewpoint is the southern most point in the North Rim with a sweeping panoramic view of the entire Grand Canyon. The trail is a well maintained paved path and level. Another great thing to do in Kanab Utah if you need a break from hiking is the Moqui Cave which is now a local natural history museum situated in a red rock cave. You can find Native American artifacts as well as dinosaur tracks on display here as well as an expansive gift shop. Open Monday – Saturday from 9 am to 7 pm with a $5 admission fee. Exploring all the best things to do in Kanab, Utah and nearby require a few things to know beforehand as well as tips that will help you along the way. Get the Alltrails App on your phone and download offline maps of the hikes you plan on using. We found this to be really accurate and easy to follow. Be sure to check with the Bureau of Land Management (BLM) office in Kanab for permits. You will want to plan well in advance as some hikes like The Wave are VERY competitive and you can apply online 4 months in advance or study up on how to get permits the day of. Many hikes do require permits, be prepared and do research to make sure you don’t miss out. Come prepared with a 4WD or AWD vehicle. Many of the trailheads and roads around these naturally gorgeous areas require vehicles with high clearance and 4WD or AWD to even access the trail. Check road conditions at this number 800.492.2400 in advance. Some of the trails are not accessible after it has rained because the road is not driveable. You can always check with the BLM office as well. Check weather conditions, your LIFE depends on it! Do not take this lightly. If there’s even a chance of rain you do not want to be doing almost ALL of the hikes as flash floods in this area are serious and deadly. Contact BLM if you’re not sure. Brush up on what to do if you get caught in a flash flood. This is a serious danger in the area that can end fatally. Flash floods can even happen on days that are clear with no sunshine. 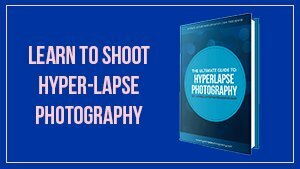 This guide is helpful. Take out everything you bring in, including food scraps and human waste you can pick up human waste bags at the ranger station. Be respectful to nature. This should be common sense but there are alot of a$$holes out there. This might not be you, but if you SEE anyone doing something harmful to the enviroment, call them out or report them to a ranger. This land is sacred and we all need to do our part in taking care of it. 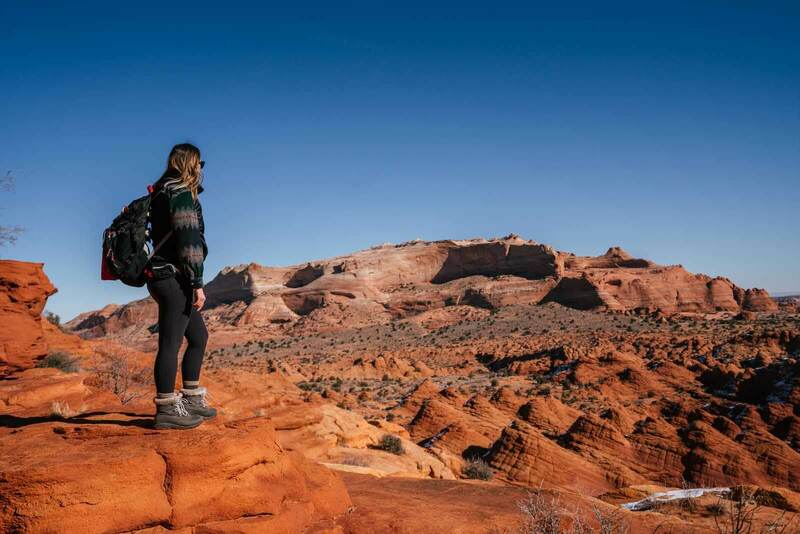 Some of the most important things you need to bring to Kanab, Utah for all the great activities include proper hiking gear. We highly recommend the bare minimum of having proper hiking shoes as many of the trails require good traction and you will want to nice ankle support hiking boots offer to help prevent you from rolling your ankle in the middle of a remote trail. In case there was rain recently you will want to make sure you also have proper waterproof and weatherproof footwear as well. 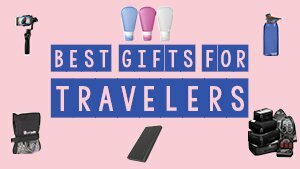 We have selected some great options below. We also recommend having a good working GPS that also has a personal locator beacon feature if you plan on doing any of the hikes. It’s important you’re familiar with your GPS and its features before you hike. 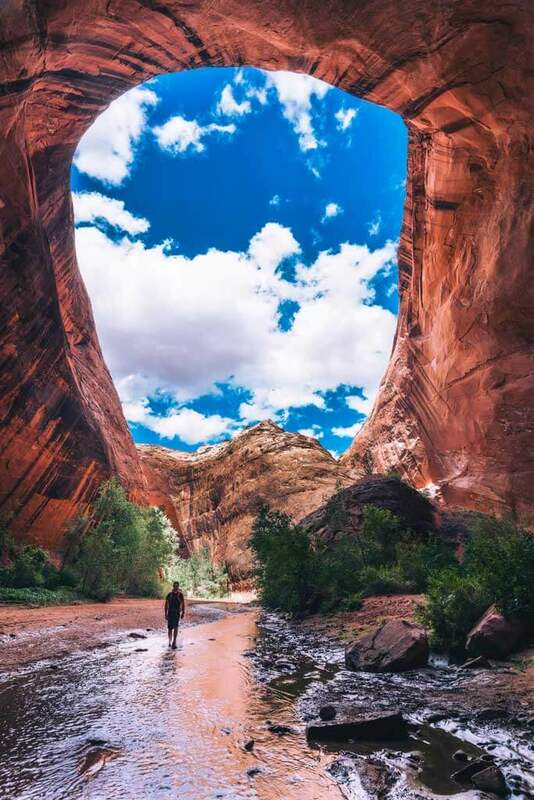 As mentioned above in many of our picks for the best things to do in Kanab, Utah many of the hikes have flash flood warnings or require a GPS to find the trail. There is little to no cell service and signal at all on many of these trails and having a GPS will prevent you from getting lost as well as a personal locator beacon if heaven forbid something does happen and you need help. Hikers that narrowly escaped an overnight trip through Buckskin Gulch in Coyote Buttes North thank their rescue mission because of their personal locator beacon. Many high-end GPS systems offer this like the one we mention below. Also, it’s important to make sure you are aware of all the possible dangers of where you’re going and brush up on survival skills if you do end up lost or in a flash flood. Another clutch item to have is a nice Camelbak backpack that has a bladder so you can stay hydrated. When you’re hiking here it is crucial to stay hydrated especially in the hotter months. Bring MORE water than you think you may need JUST IN CASE! In the winter many of the accommodations prices reduce significantly due to being low season. Consider visiting this time of year for less crowds as well and a better chance to get permits to some of the most coveted hikes. Great basic hotel with very friendly staff located in the heart of Kanab. Breakfast is included. The front desk staff, Roman was the highlight of our stay! Victorian style B&B hotel that feels more cozy and quaint than a chain hotel. There’s a restaurant and pool on site with breakfast included. Modern and comfortable hotel with quality rooms and amenities you’d expect from the La Quinta brand chain. Rooms are contemporary and the hotel offers and outdoor pool and spa with free breakfast. Found this post on best things to do in Kanab, Utah and nearby helpful? Bookmark for later or share the love below on Pinterest!